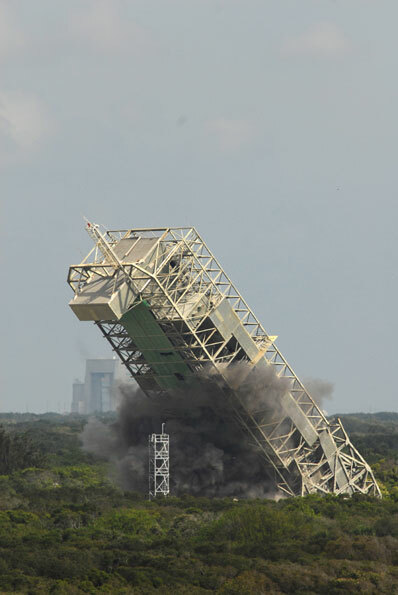 Shuttle Atlantis blasted off Friday evening on its mission to the space station. 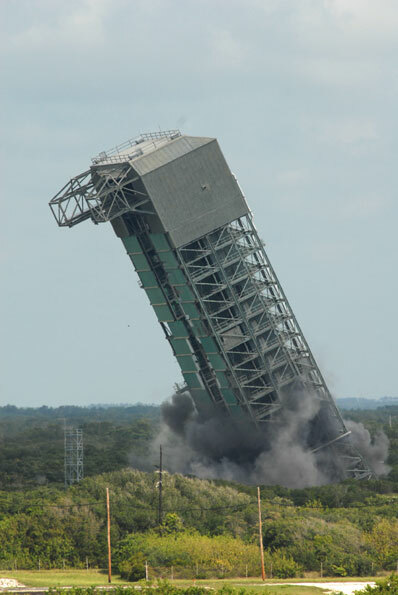 At Cape Canaveral's Complex 36 this morning, the two mobile service towers that had supported Atlas rockets for decades were toppled to the ground with 122 pounds of explosives. 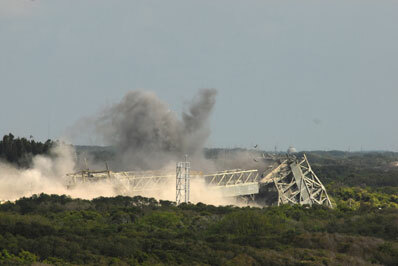 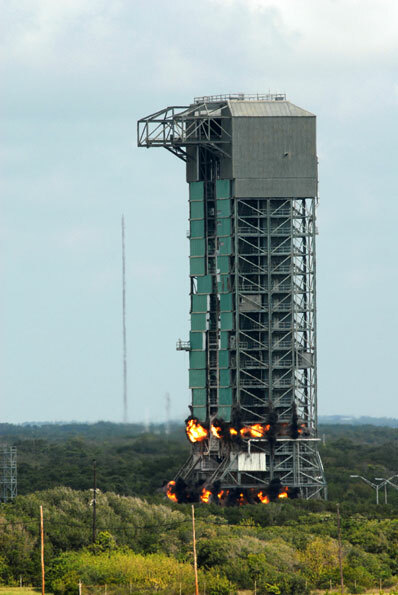 The site has been decommissioned following retirement of the older generation Atlas vehicles in 2005. 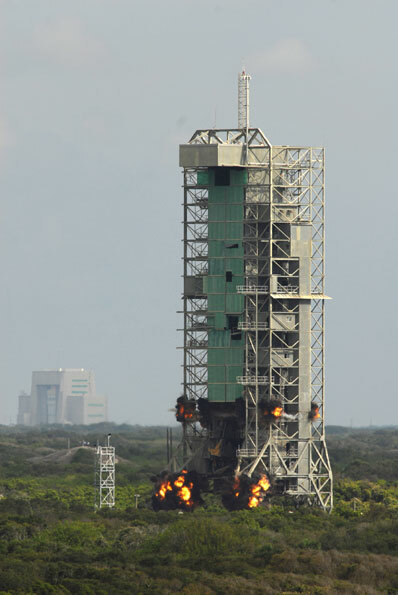 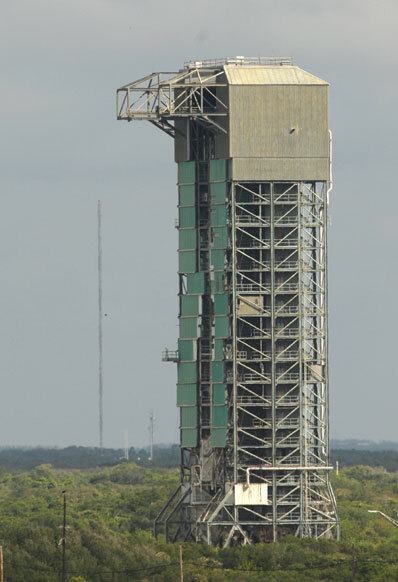 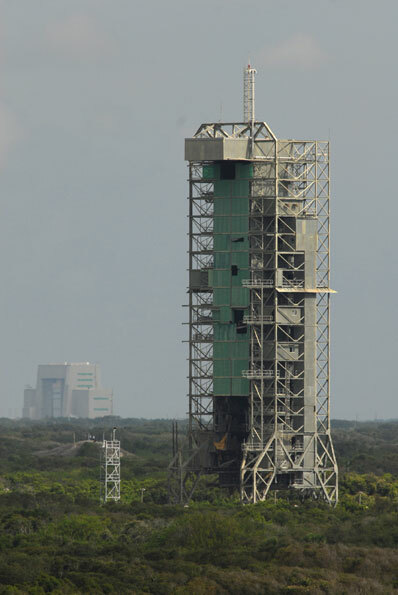 Launch pad 36B fell first at 9:59 a.m., followed by pad 36A at 10:11 a.m. 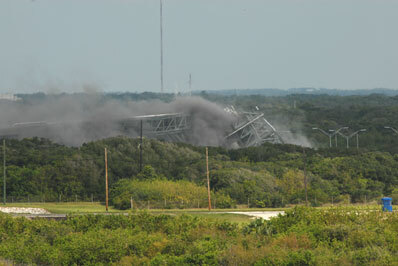 The towers will be cut up and hauled away starting Monday. 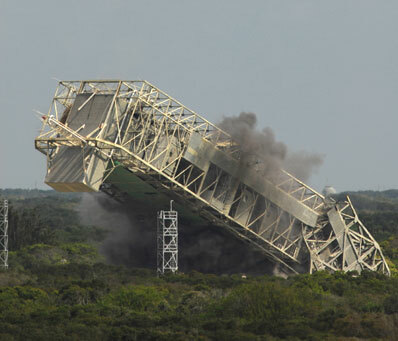 See our full story.